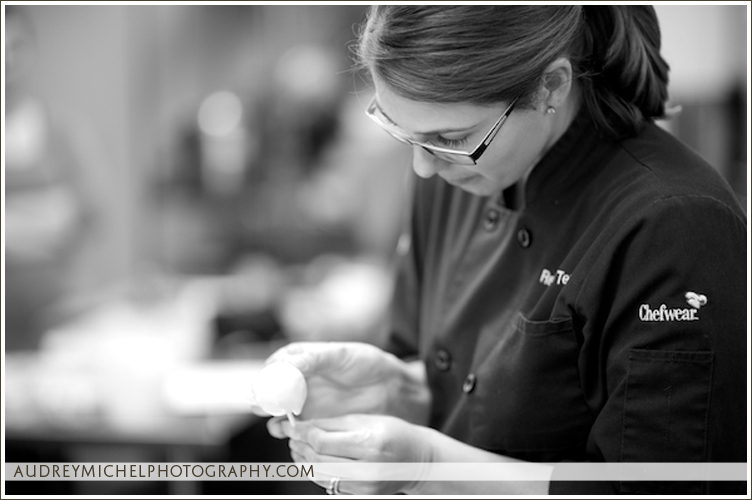 Just a post about a super fun evening with Rachel of Intricate Icings. 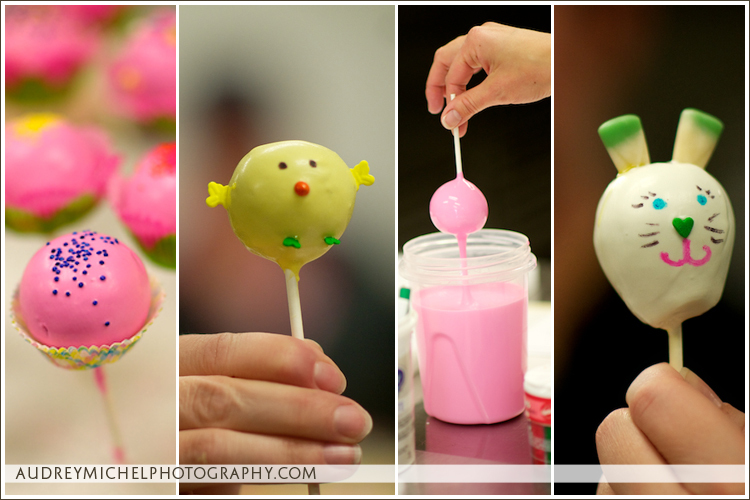 My friend and I attended Rachel’s Spring Cake Pop Class for the heck of it…basically I LOVE cake pops, but would never make them myself…they are far to time consuming and messy. 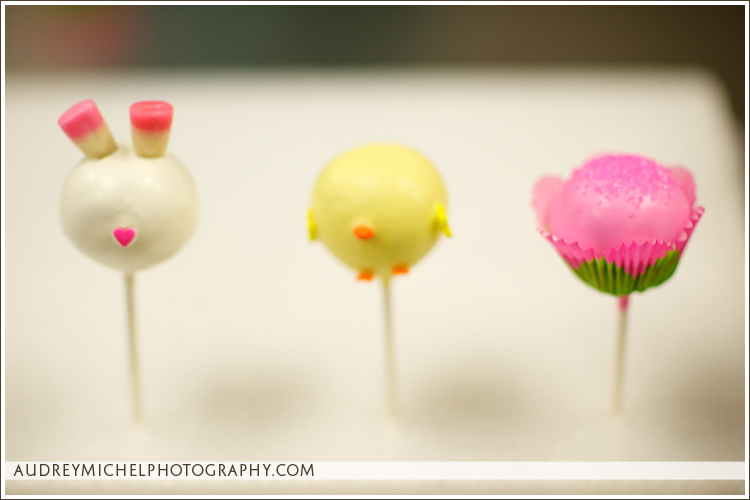 However, if you take Rachel’s cake pop class, she has everything prepared for you, including all the little decorations, all the cake batter is ready, and she gives you wine to enhance your creativity! And best of all I don’t have to clean up…Thank you Rachel!!! We got to make little chics, bunnies, and flowers for Easter. DELISH! Thank you for hosting this class, Rachel! It’s highly probable that I will be back for your winter session. 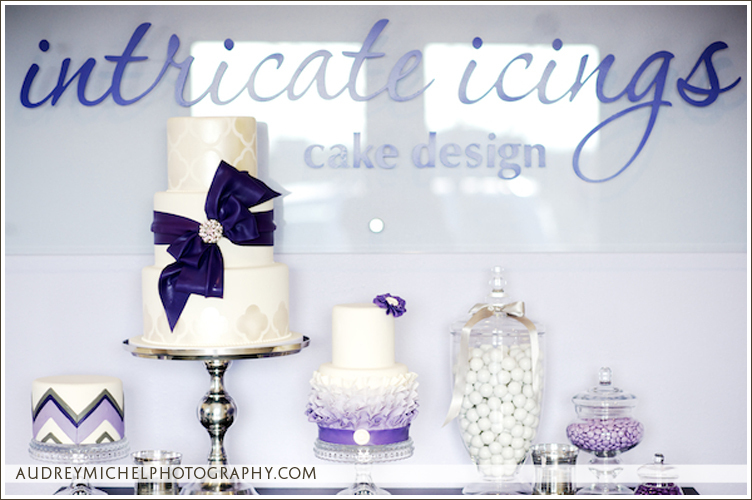 Check out previous posts of Intricate Icing’s beautiful wedding cake. AudreyMichel Photography is booking for select dates during the 2012 wedding season. Contact us for availability and a quote specific to your day!